Equity markets worldwide have decided that there is less chance of Brexit following the murder of a UK member of parliament. The easing of concern over the impact of Britain leaving the EU has boosted major indexes in Asia, Europe and Canada Friday. 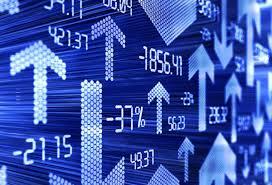 Wall Street was the notable exception, closing lower as Apple weighed. Meanwhile, oil rebounded on a weaker greenback with US crude up almost 4 per cent at the close of the markets, although it was still 2 per cent below where it started the week. Canada’s consumer price index was up 1.5 per cent in May, after a 1.7 per cent rise in April, Statistics Canada reported Friday. The slower pace of inflation was due to cheaper gasoline prices which dropped 7.1 per cent year-over-year in May compared to an annual pace of 5.9 per cent in April; without gasoline, the CPI was up 1.9 per cent, down from 2 per cent in April. Food price increases also eased with a 1.8 per cent year-over-year rise in May compared to 3.2 per cent in April. The rise of financial technology creates great opportunity for innovation in financial services but to benefit, while managing the potential risks, will require collaboration throughout the financial system’s stakeholders. The Bank of Canada’s priority is to see upgrades made to the core payment systems that the financial system relies on and that the Bank oversees.